Conotton Cemetery is the burial place of Jonathan and Rachel Foutz and Gideon and Delilah Foutz. Was Jonathan's daughter (and Gideon's granddaughter) Rachel also buried here? And where are the Foutz plots located? We’ve spent the last week getting to know the family of my great-great grandparents, Jonathan and Rebecca Foutz. The journey has taken us, among other places, from the rolling farmland of 19th century Harrison County, to the streets of our nation’s capital, to the boisterous din of a canal town transitioning to industrial boom-burgh, to the quiet hallways of houses burdened by untimely grief. We’ve covered a lot of ground. Met a lot of people. Bridged the present and past. But after all that’s been documented, there’s plenty left to discover. Here’s a rundown of the lingering mysteries — a checklist of questions to answer about this particular set of ancestors. 1. 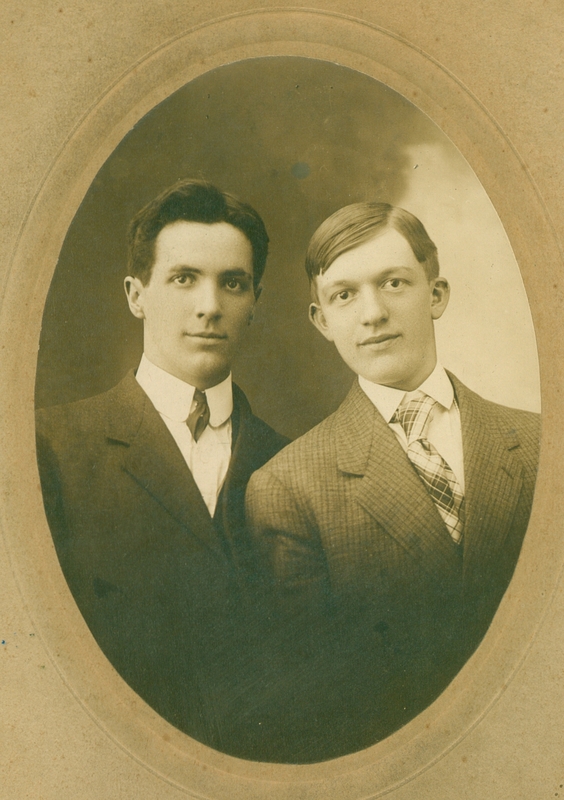 How did great-great grandpa Jonathan Foutz die? 2. 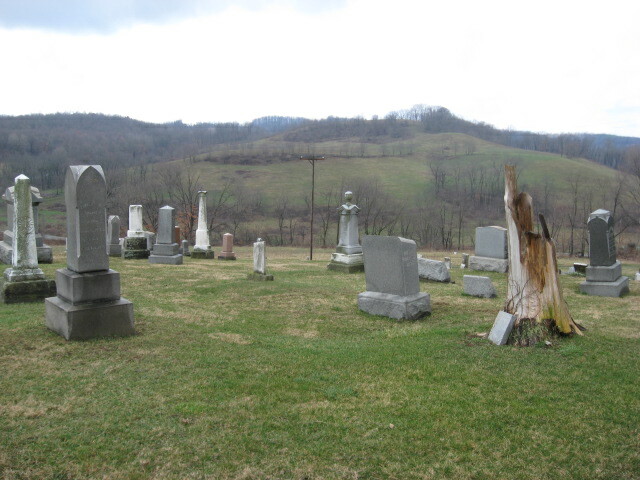 Where are our oldest ancestors’ plots located in Conotton Cemetery? Pfoutses — not to mention Foutses and Foutzes — farmed in Harrison County, in and around Bowerston, for more than 100 years. Many of them are buried in Conotton Cemetery. Death and burial records document this. At least four, and perhaps five or six — or more — generations of my family are buried there. But during a visit in March 2010, I couldn’t find more than a few distant relatives. Where is Gideon? Where is Michael? Where are Jonathan and Rebecca? Many of the stones are worn, or broken. Fallen limbs — eerily echoed in a warning letter from my great aunt Doris to my grandfather Don in the 1970s, about getting to a cemetery to cut down decrepit evergreens — cover other plots. Visiting the county to find just where our ancestors are buried, and to assess the state of their memorials, is not only a genealogical curiosity, but, I think, an important duty in honoring our past. 3. What happened to Sherman Foutz’s son Oscar, grandson Ralph, and foster daughter Catherine? This family of my great-grandfather’s oldest brother captivates from a distance. Because they lived after the beginning of the 20th century in Pennsylvania, which maintains a virtual lock-down on vital records, much of what became of them is unknown to us. Did Oscar run into trouble as a national guardsman, and serve prison time? What happened to the wife of his son, Ralph? Did Oscar die young? What became of Ralph — did he fade from view, or raise his own large family? And Catherine is mentioned in daughter Grace’s obituary. Did she stay in touch with those in Harrison County? How did she come to be known and adopted by Sherman and Elizabeth? And what are her own descendant’s memories of this foster Foutz family? 4. What became of Charles Foutz’s children and descendants? Shortly after my great-grandfather’s closest brother died at 32, his wife, Rosie, remarried and moved his four children to Canton, Ohio. Records seem to indicate them growing up and carrying on family lives of their own. But how did they fall out of touch with other branches of the Foutz family? And what became of them? One hopes for happy, rich lives for our relatives. Knowing what became of them, after such a tragedy, would help put the past at rest. 5. When and where and how did Rachel Foutz die? She just drops from view between the 1900 and 1910 censuses. While her family — two sons and two daughters with William Coleman — show up in the house of my great-grandfather, and at least one daughter, Blanche, lives to be nearly 100. Connections with Blanche’s church in Kent, Ohio may provide some answers, but what about her children and other descendants of J.T. Escott? Would be neat to get back in touch — and to help put them in touch with the roots of another Foutz parent who died far too young. 6. Just what did some of our oldest relatives look like? We have photographs of Sherman and Lila and Ida and Vance and Jonathan and Rebecca. But what about John? Or Charles? Or Rachel? It’s not only fun to track some familial resemblances through the years — my dark hair and glasses at least hearkens back to my father and grandfather; and I sometimes see Ida Foutz in her great-great granddaughter Dawn James (;-D) — but it’s cathartic in a way as well. These people lived. They loved, they worked, they struggled, they celebrated, and they ultimately passed away. As we all will someday. To be not only remembered, but seen and by extension known to generations that come after, well, it’s what we all want, isn’t it? To not pass on completely. Rediscovering these images is an act of reincarnation, almost. Or resurrection. Powerful stuff. 7. And ultimately, where did our Pfoutses come from in Germany? Who were they there? Any questions about our Harrison County ancestors lead back to Michael Pfouts and his immigration about 1787. What did he do for the 24 years or so before settling in Ohio? Why the journey from Maryland, possibly through Pennsylvania, to here? And going way back, who was his family in Germany? Where did they come from there? What did they do there? Why did they come here? Somebody, in some far branch of our family tree, must know. Unless that somebody is going to be me. Thus, the question becomes, how do I find out? And so, we keep digging…. Who are these guys? Could they be Sherman, John, Charles or Vance Foutz? Or Rachel Foutz's sons, Karl and Frank Coleman? Is this still a live thread? Foust from Maryland. Looking for the history of my Maryland ancestors. Foust or Foutz? So far as I know, we are not related to any Fousts. The origin of the name is the word Pfauts, which means a bloated, self-important person in German. Variations include Pfouts, Pfoutz, Foutz and Foust. Do you have any ancestors in Maryland I can see a bout connecting our line with? Hey. I’m at work and don’t have access to your e-mail address here. It’s on my home computer. I’ve been talking to a guy named Steve who is the President of the Harrison County chapter of the Ohio Historical Society. He said that they have a quarterly publication and that the next one is going to focus on Bowerston. He wants family stories and info just on Bowerston at this time. The majority of the info I have is my direct line. If you want to share any stories or info on anyone that isn’t in my direct line or even add to the info I can give him on people like Jonathan and Gideon you can e-mail him at scott@harrisonhistory.org. I don’t know when he needs it by. I asked him when he needs it by in my last e-mail to him and when he responds I can let you know. I found a link where we can get death certificates for $7. That’s the cheapest I’ve found so far. It’s http://ohsweb.ohiohistory.org/death//. I’m planning on taking a trip to Harrison County in the next month or two to see what I can find. I have a history of searching aimlessly so I’d like to make my next venture worthwhile. I contacted the Harrison Historical and Genealogical Societies for info on where to search for information. Waiting for a reply. You seem to have things more organized than I do. If you want to make a list of what needs researched and where to look I’ll take it with me when I go. Dude. Seven is cheap. Wonder what date range they can pull? Anything from 1908 – 1953 we’ve got covered electronically, of course. But with that, we just miss out on folks like Delilah Pfouts and folks from the great-grandparent generation on forward, and of course, the special cases, like Rachel, who don’t seem to be… anywhere. I’ve perused the H-County Geni society site. Interested in what you’ll hear back. I think, for ancestors like Michael and his phantom wife or parents, it would be worth getting all the info they pull up for a fee. They have odd hours for on-site research, and visiting and cramming it all in could be difficult. But I wonder what access we’d get at the courthouse. It would be great to get organized and go pulling cemetery plat info and specific will info and such. And I think library microfiche, of all things, could solve a lot of mysteries when it comes to deaths that we specifically have a date on. I thought about calling libraries close to home and having people go after specific bits of info, one case at a time. There’s a certain learning curve involved with just orienting yourself to county and library records, but after that, I imagine it could pretty much be do-it-yourself. You’re closer to there than I am, anymore. But I was thinking of planning a Foutz Men Campout for the spring, and floated the idea past my brothers. It’s an excuse for me to gather info while I’m home. But also a precursor to any extended reunions that could be gotten going… if the interest is there. In any case, I’ve been itching to get back since last year. I know a lot more know, and there’s more I’d like to document. Would be cool if we could meet up, whenever I’m out that way. And of course, divide and conquer, otherwise. You know us “meddling kids!” Ha! Ha! We may have complications getting Michael’s death certificate. The state of Ohio did not require death certificates until a few years after Michael passed. That doesn’t mean there isn’t one out there but it also doesn’t guarantee that there is one.